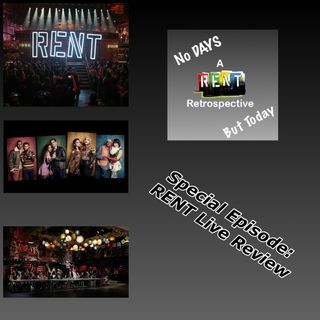 Rent was on FOX on January 25th and Blake is back for this special episode to discuss in with special guests Robert E G Black and newcomer Emily Kastner. The three of them break down the positives and negatives of the show, the injury news that plagued the show, whether the show could have been aired differently, who stood out from the cast, what made Blake cry and more. It's a fun talk and it may have convinced Blake to do a future project.